On the surface it seems quite logical that the piston pin bore would be centered in the cylinder bore of any internal combustion engine. Having the cylinder axis intersect the crank axis is a time-honored tradition among engine designers. It has been the normal practice in production engines for well over a century, but time has a way of adjusting our thinking to newer and better ways. While not always visible to the naked eye, this cutaway shows a piston with a pin bore is offset slightly to the left. 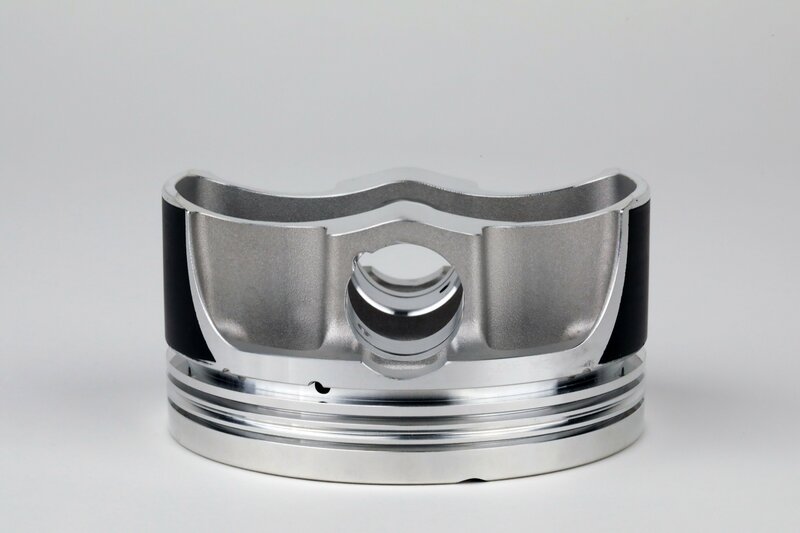 As engines evolved, engineers determined that offsetting the piston (wrist) pin yields two major benefits. First, it improves the noise characteristics of the engine due to piston slap at top dead center (TDC). This is a major NVH (noise vibration and harshness) concern to production engineers who want to eliminate alarming noises anywhere they can. The second reason is to improve engine output by reducing internal friction. Offsetting the cylinder axis from the crankshaft axis, minimizes rod angularity when cylinder pressure is at its highest. Reduced angularity leads to lower piston thrust forces, hence lower frictional losses during the period of maximum cylinder pressure, especially at the beginning of the power stroke when pressure rises sharply about 12-15 degrees after TDC. Rather than revising a complete engine design, the easy way to do this is to offset the pin bore in the piston. This allows the same crank/rod pin axis geometry as an engine designed with offset cylinder axes, but within existing conventional engine architecture. 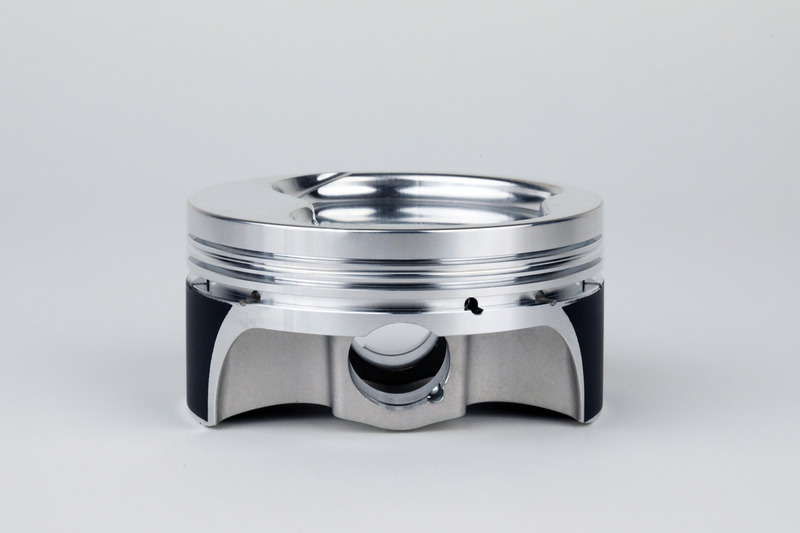 By offsetting the piston pins, the engine runs quieter and produces more horsepower due to lower friction during the combustion event. The amount by which the cylinder axes need to be offset depends on many variables, but the main ones are the ratio of crank throw to con rod length and the angle after TDC at which maximum cylinder pressure occurs. Moving the pin bore is more practical Wiseco Pistons have determined that a pin bore offset of 0.050-inch is enough for most applications. They are also aware of the effect on engine stroke length due to offsetting the pin bore. Offsetting the pin bore slightly increases the stroke which may be enough to throw the engine out of spec for some racing classes that limit displacement visa bore or stroke. Moving the pin bore enjoys a similar benefit to adding rod length in that it slows the piston speed at TDC thus allowing a longer period for flame propagation to build cylinder pressure before the power stroke really gets under way. The tradeoff is higher velocity approaching TDC and lower velocity departing TDC which may affect fuel octane requirements. While not as beneficial on short track applications, it does offer an advantage on longer tracks or in drag racing and Bonneville applications. The improved leverage angle while maintaining TDC is still important. Delaying pressure while the crank moves to a better leverage angle will help increase torque particularly at low rpm. It should be noted that the effects are minimal but nonetheless found to be beneficial when they are applied in max effort applications. Wrist pins come in all shapes and sizes and Wiseco has several different styles available. Pistons can even be upgraded to thicker pins, different pin materials, or DLC (Diamond Like Carbon) coated pins. 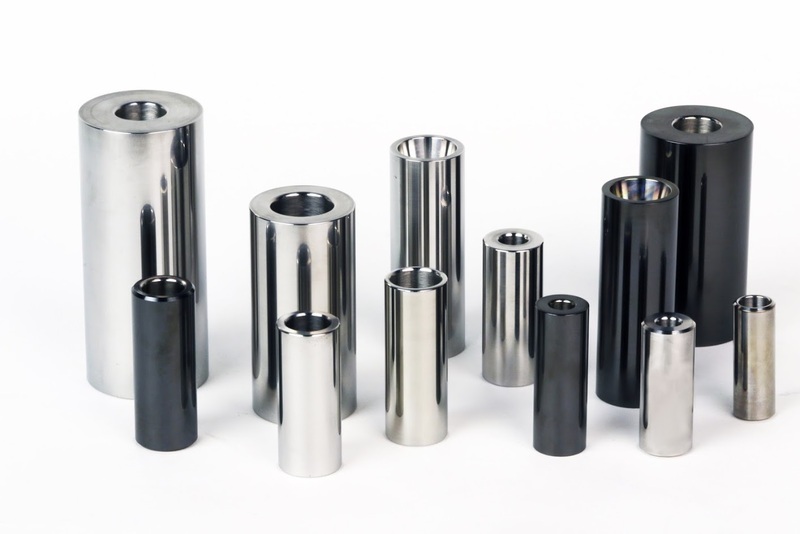 A lot of mathematical calculation goes into the slider/crank relationship regarding pin bore offset, but Wiseco engineers have calculated the optimum amount of offset for performance applications and apply it where required. Special fixtures are used to accurately offset the pin bores. 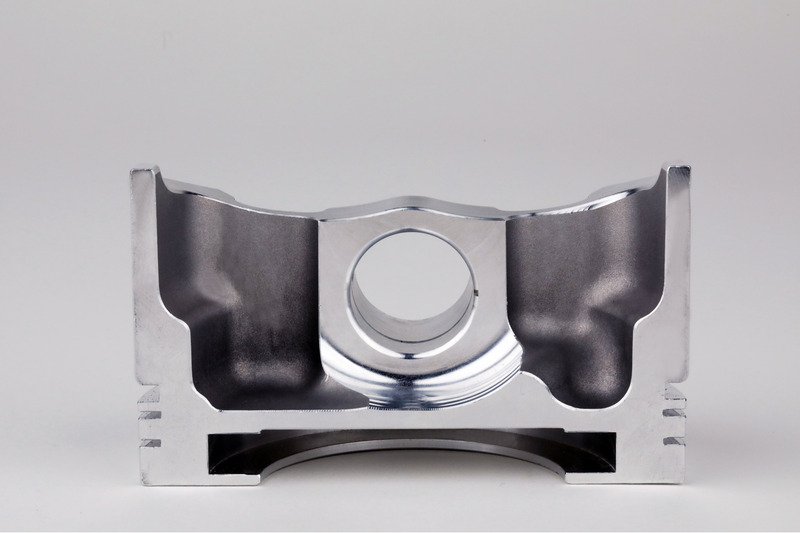 For pins that also intersect the oil rig groove, offset pins do not compromise oil ring function since the oil rings use a support rail for stability. The effects on rod loading are minimal as most modern connecting rods easily handle the loads. In supercharged cases, strong rods are typically included in the build as a matter of course.